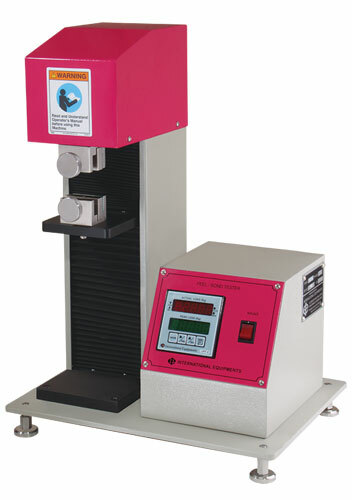 ‘Peel Tester” is small table top equipment designed by “International Equipments” to check the Peel force in films and laminates. Normally 180 degree peel is checked in this small equipment. Equipments come with highly accurate load cell connected with a load indicator with peak load memory facility in order to record peak force in memory. As per the requirement of standard the equipment has fixed speed of 300 mm/minute and peak load memory facility. Uniquely designed to check only Peel/Bond specimen and becomes economically viable for users.